Coming off of the high of watching Working!! all the way through, I went looking for other, similar shows and wound up watching the entirety of Servant x Service this weekend with Kodra. I came away from that show feeling pretty weird about it. On the one hand, Servant x Service is often genuinely funny and has some characters I really like. On the other, it’s very much a product of a much more misogynist culture with very different views on acceptable behavior. It makes me think about cultural imperialism more than a little bit, because it’s easy to sit from my position and decry another society’s culture for things that I find objectionable, but it’s a lot harder to turn that lens inward and consider the things that I do that would be objectionable for other societies. It feels hypocritical for me to sit back and say “this is a problem” and dismiss content as “bad” when not doing the same thing with, say, The Avengers, yet to some extent those feelings are still there. It makes me try to really evaluate how I feel subjectively vs what I believe objectively. For all that I grit my teeth at some of the things in Servant x Service, it’s easy for me to imagine someone looking at a standard American show that I love (like, say, Firefly) and being bothered that it’s a show essentially about a bunch of criminals with no families, no sense of societal obligation, and a starkly different moral compass. To flatly say that something like Firefly is “better” than something like Servant x Service on some moral ground isn’t something I’m comfortable with, because I’m not speaking from a position where I can say the cultural norms that created one are objectively superior to the other. It’s a big part of why I’ve tried to experience a really wide variety of content from different places. I’ve railed against the idea of dismissing something (or giving it a pass) simply because of one negative (or one positive) trait it has, and I worry that we dismiss a lot of content just because it’s “weird” or otherwise not congruent with what we consider ‘normal’. 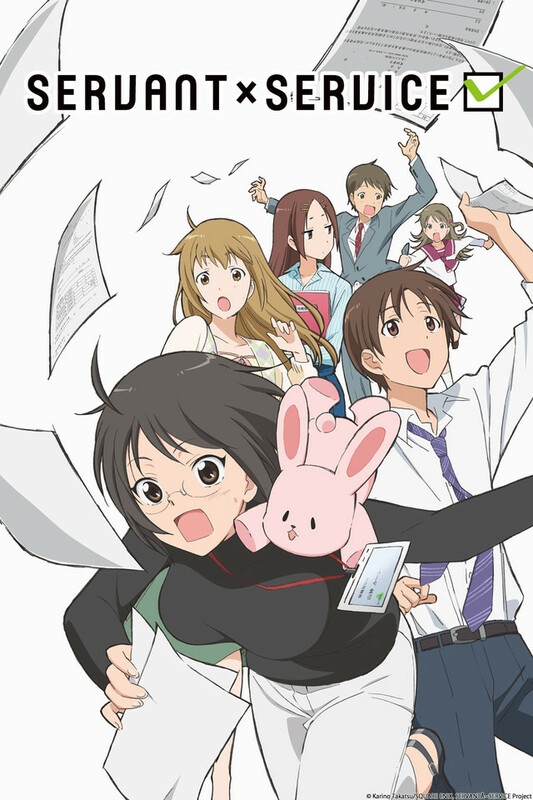 There’s a wealth of interesting experiences that are hard to get without leaving the bounds of native English content, and while many of them do some problematic things that unsettle me (like the rampant sexual harassment in Servant x Service), I can’t in good conscience say that there aren’t equally problematic things in even the best of native English content. I’m kind of going round and round in my head, because half of me is still bothered by the show, and the other half seeks to better understand the show’s context rather than imposing my own on it.